The kitchen may be the heart of a home, which is often why it's the dirtiest place in a home. There's the obvious mess–like used dishes, a sticky floor or a crusty oven. But are there other places you're forgetting to clean? Think about what lands on kitchen counters and shelves–uncooked, unwashed and raw food, backpacks and purses that have been sitting on floors everywhere–and how often we touch refrigerator handles and cabinet knobs. Let's take a look a the dirtiest places in your kitchen and how you can keep them clean. 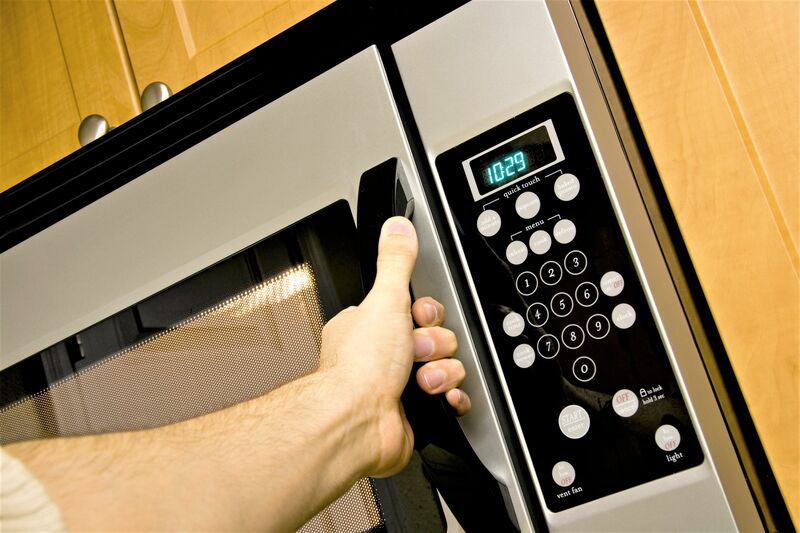 Every appliance in your kitchen has some type of control panel or handle that's touched each time it's used. All of those knobs, buttons or touch pads are used after raw food is prepared or before hands are washed, leaving body soil and bacteria like Salmonella, Listeria, E. coli, plus mold and yeast. All of these organisms can cause digestive upset and even make you and your family very sick. Kitchen cabinet pulls, appliance handles, and control panels should be cleaned after food preparation or daily, using a disinfectant wipe or spray-on disinfectant cleaner and clean cloth or paper towel. Even though there is plenty of water running through your kitchen sink, there are likely microbes lurking on the surface, especially in the crevices where the sink joins the counter, around the drain and garbage disposal stoppers. According to the National Sanitation Foundation International (NSF), 45% of all home sinks tested had E. coli or some type of coliform bacteria. The kitchen sink should be disinfected after every meal preparation, washing dishes or at least once per day, and don't forget the handles and faucet and the counter areas near the sink. They catch all of the splatters when you rinse off contaminated foods. Use a sink cleaner that contains a disinfecting agent and a clean towel or disposable disinfectant wipes. In an effort to reduce the use of paper towels and their impact on the environment, many homes use cellulose sponges, sink scrubbing brushes, and fabric dishtowels. Unfortunately, according to a study by the NSF, at least 75 percent of these items harbor coliform bacteria (Salmonella or E.coli). If you use these products, they should be washed in hot water after each meal preparation or cleaning session. Sink and vegetable scrubbing brushes can be placed in the dishwasher for a thorough cleaning after each use. We've already discussed what can lurk on refrigerator handles and touch pads, but even with the cold temperatures, some pretty harmful bacteria can actually grow inside your fridge. Most fruit and vegetables will stay fresh longer if they are not washed before storing. So, into the vegetable drawer they go, still covered with bacteria and pesticides. Of course, you wash them before preparing and serving them to your family, but the bacteria and germs are left behind in the crisper drawer. The same thing happens with raw meat that is stored in the refrigerator. Packaging leaks and fluids accumulate in the drawers and along the edges of shelves. Even packaged products like milk or tubs of butter have been handled and stored numerous times before they enter your refrigerator. To get rid of the coliform bacteria, as well as yeast and mold that can be growing there, remove refrigerator drawers or shelves–if possible–monthly and wash the surfaces with a mild detergent and hot or warm water. Dry with a clean cloth or paper towel. Between thorough cleanings, wipe away any spills and give the interior surfaces a quick wipe with a disinfecting wipe. And when you're doing the monthly cleaning inside the fridge, take a few minutes to dust the top of the appliance and vacuum behind and underneath as well. Remove the vent cover to vacuum the coils. Dust on coils makes the refrigerator work harder to stay cool, using more energy, and food particles hiding underneath are insect magnets. Cutting boards, especially wooden boards, can harbor bacteria in the tiny nooks and crannies that appear after even a single use. It is important to have at least two separate cutting boards: one for fruits and vegetables and one for meats. This will reduce cross-contamination during meal preparation. Wash each board after every use with hot, soapy water and rinse well with hot water. Then dry completely with a paper towel or clean dish towel. Do not leave the boards to drip dry because bacteria loves a warm, moist environment. You can also choose cutting boards that can be placed in a dishwasher for a thorough cleaning. 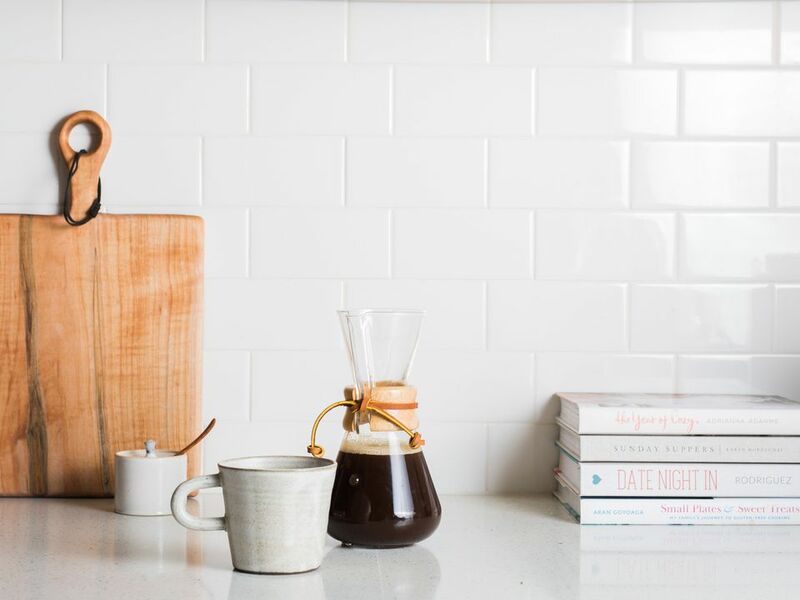 Even clean water that lingers in a warm, moist environment like a coffee maker can create a perfect environment for bacteria, yeast and mold to grow. Some small appliances must be cleaned after every use. At least weekly, disassemble and clean small appliances thoroughly. Some components are safe to place in the dishwasher and others should be washed in hot, soapy water and then rinsed in hot water and dried completely. The same cleaning routine should be applied to utensils like can openers and measuring spoons and cups. Each time you use a resealable container or resusable lunch box, shopping bag or water bottle, there is a potential of cross-contamination from bacteria, unless it has been cleaned correctly. The containers should be completely dissembled and placed in the dishwasher or washed in hot, soapy water, rinsed in hot water and dried completely. Most lunch boxes and reusable shopping bags can be tossed in the clothes washer for a thorough cleaning. An additional tip for the shopping bags is to keep them segregated–designate one or more for cleaning supplies, one for raw fruits and vegetables, one for raw meat and one for packaged goods. What's sitting on your kitchen counters right now? When you move that purse or shopping bag, will you be preparing food in the same spot? Grab a disinfectant wipe or clean cloth and disinfectant spray, and clean before preparing food or at least once per day. Skip the sponge or used dishcloth because they may be harboring bacteria and germs. At least weekly, take time to get into corners, under small appliances and along the edges between the stove or refrigerator and countertop. You don't want to imagine what is hidden in those moist, dark spaces. One last dirty spot to consider, kitchen salt and pepper shakers. Did you use them while preparing food? Did you wash your hands before touching them, or simply grab and season? Give them a careful wipe down with a disinfecting wipe after every meal preparation and a thorough cleaning every week.